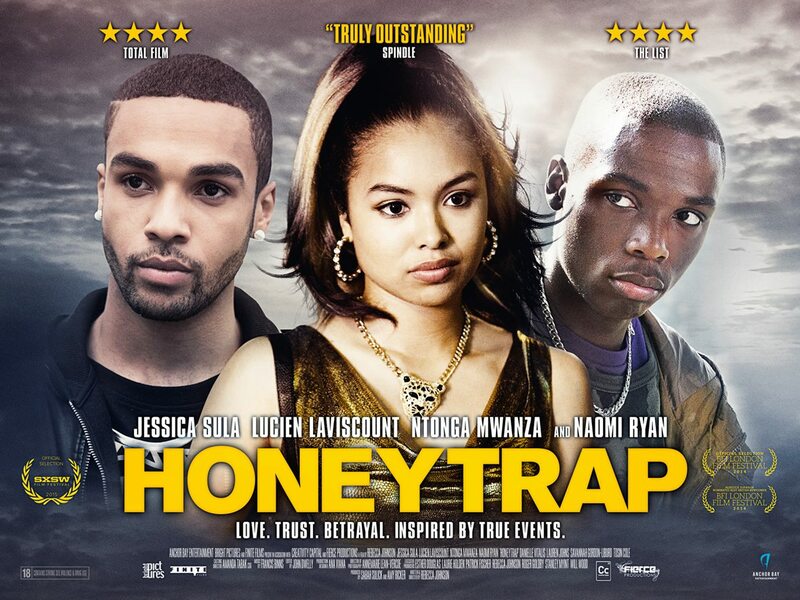 Brixton-based drama Honeytrap came out in UK cinemas last Friday and received positive reviews. Based upon the 2009 case of a 15 year old girl who lured a boy to his death by a gang, director Rebecca Johnson drew on her experiences working with young people in the same area with her not-for-profit Fierce Productions filmmaking workshops. Layla, played by Skins’ Jessica Sula, comes to stay with her mother in London having grown up in Trinidad with relatives. As the film progresses she falls deeper and deeper into trouble as she desperately wants to fit in with her new peers and gain affection and attention from the local top boy, Troy. I had the opportunity to sit in the spotting session for Honeytrap with Rebecca, sound designer Alex, dialogue/ADR editor Adele Fletcher and re-recording mixer Richard. Spotting sessions are great aren’t they? We combed through the final cut (shout out to picture editor John Dwelly and Rebecca for the great edit) scene by scene as Alex and Rebecca determined the feel of the sound design. Adele, Rebecca and Richard made their ADR notes, hard effects were noted for sound editor Stelios and we noted down the Foley necessities. It’s so great to have a detailed plan and communicate requirements to the Foley stage (Universal Sound recorded and performed the Foley) and give attention to scenes that require ADR coverage or creative attention. Attending this spotting session also let me know which scenes or parts of scenes would be dropping production/sound effects in favour of music and design. It would appear that proper planning and preparation not only prevents piss poor performance but also nourishes creativity and allow it to flourish, especially with time constraints to adhere to. Honeytrap is in UK cinemas right now. Updates on DVD and international releases are available via the film’s Twitter and Facebook feeds.